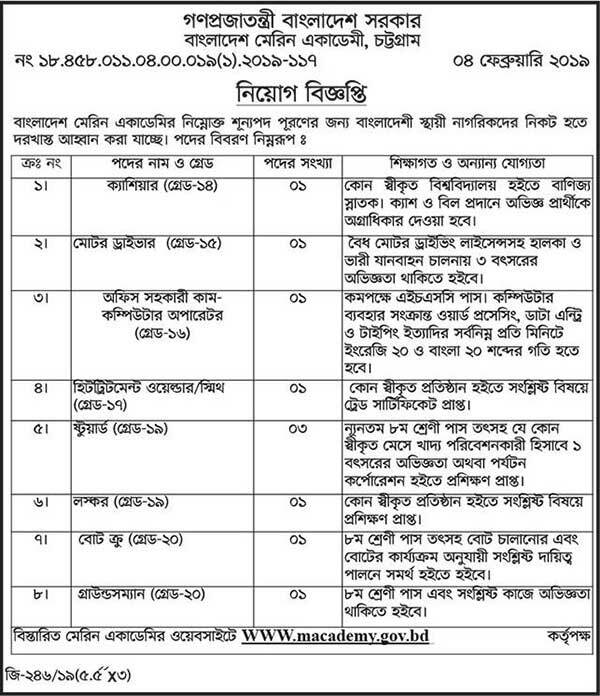 Bangladesh Marine Academy Jobs Circular Has Published On 06 February 2019. Bangladesh Marine Academy has invited applications from real Bangladeshi citizens for recruitment to different positions. Visit the Bangladesh Marine Academy website www.macademy.gov.bd for more details.